Normally, Concrete floor slabs are covered with another flooring material such as Marble and Granite or vitrified tiles. 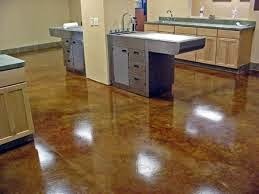 However, concrete floors that are polished and used as such, without any additional flooring material are gaining popularity in commercial buildings since they provide low-cost yet highly durable flooring surface. Here, I have described the characteristics of concrete floors along with my rating. The overall rating will help you compare concrete with other floor options. Composition: Concrete is produced by mixing cement with fine aggregate (sand), coarse aggregate (gravel or crushed stone), water, and various chemicals called admixtures which control setting time and plasticity. Physical Characteristics: Concrete is hard, heavy, unyielding and resilient. * 8. Cost : It’s the cheapest flooring option because it does not require another floor covering. Easy installation: It’s easy to cast/install. Highly durable and resilient: Will not be damaged by high heels, furniture legs, pet claws or dropped items. Long Lasting: Can last indefinitely and does not need to be replaced. However, it needs to be sealed or waxed every 3-9 months. 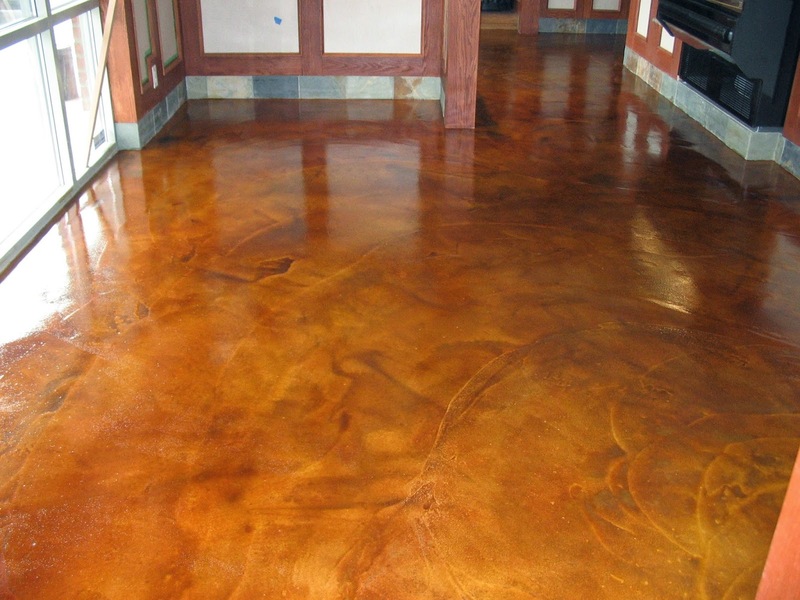 Finish: Concrete can be polished to a smooth shine. Design options: Colouring concrete or applying textures, patterns, saw cuts, etc., can bring new life to this traditional substrate. 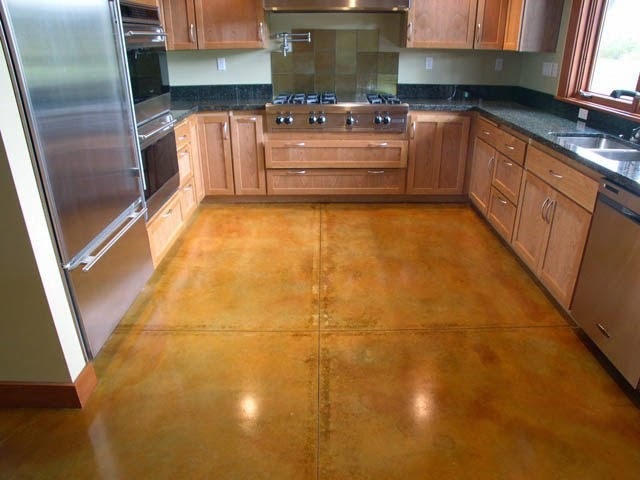 Versatile: The concrete slab can be covered with any other flooring material at a later date. Non-allergic: Concrete is a good alternative to carpet. Environmentally Friendly: A concrete floor does not require any other flooring covering and so there is less depletion of resources. Hard floor: If you trip and fall you are probably going to hurt yourself. Items dropped on these surfaces are also more likely to shatter or crack. Uncomfortable: Due to it's hardness and unyielding nature, it is uncomfortable to stand on Concrete for long periods of time. Man-made material: Concrete does not have the natural beauty of Marble or Granite. Durability: Concrete flooring is not as durable as Terrazzo or Marble flooring. Cold underfoot: Concrete gets cold underfoot as it does not retain heat very well. Moisture: Moisture can penetrate through the concrete floor, if it is not properly sealed on both top and bottom surfaces. Not a green option: While no extra flooring material is required for a concrete slab, Concrete is not a green option because of the presence of cement which causes a significant expenditure of energy and carbon dioxide during manufacture. Concrete can take on colour, texture and polish, is durable, economical, easy maintenance. 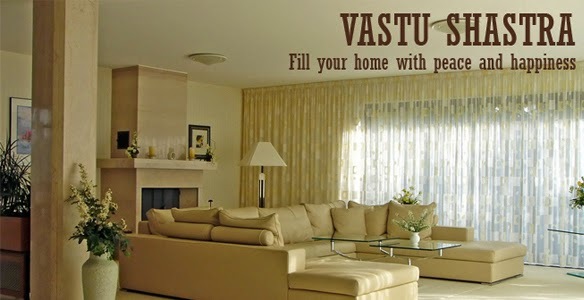 Therefore it is becoming a very popular choice in commercial and public areas. In fact it is a better option to Hardwood flooring. 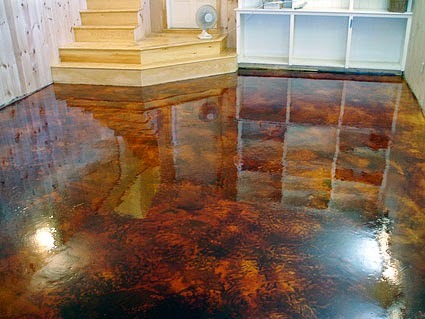 But Concrete can never have the beauty of natural flooring materials. Thank you for leaving a comment. Will get back to you soon. © Minu CP and House Construction in India. Powered by Blogger.